27 June. 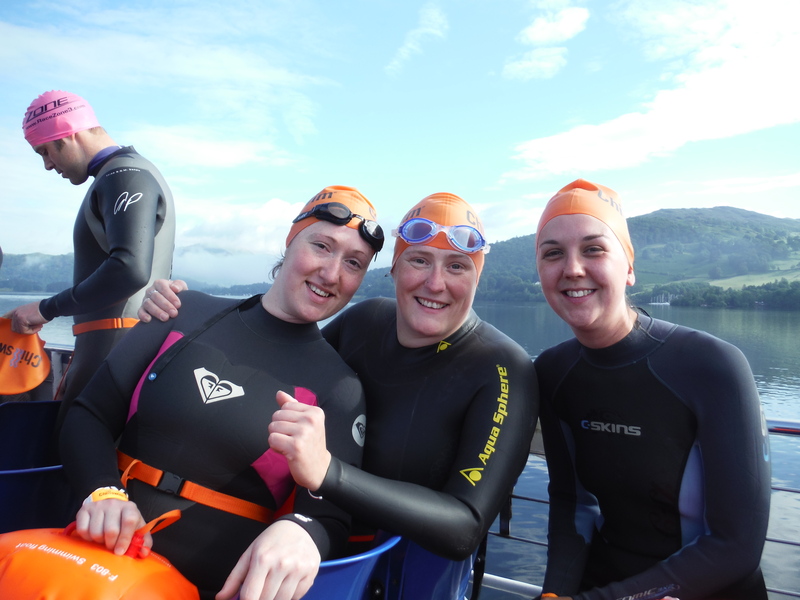 So today I did the Cross Windermere Swim organised by ChillSwim with Gemma and Ash. 1.2km from Wray Castle boat house to the Brockhole Visitor Centre which I completed in the rather slow (but very good for enjoying the view) time of 36mins 50secs. We went over to Ambleside last night and stayed at Ian’s house and were up early this morning ready to register and be on the boat at 7.50. The boat took us over to the Wray Castle boat house and we all got into the water and b…obbed around waiting for the starting horn. 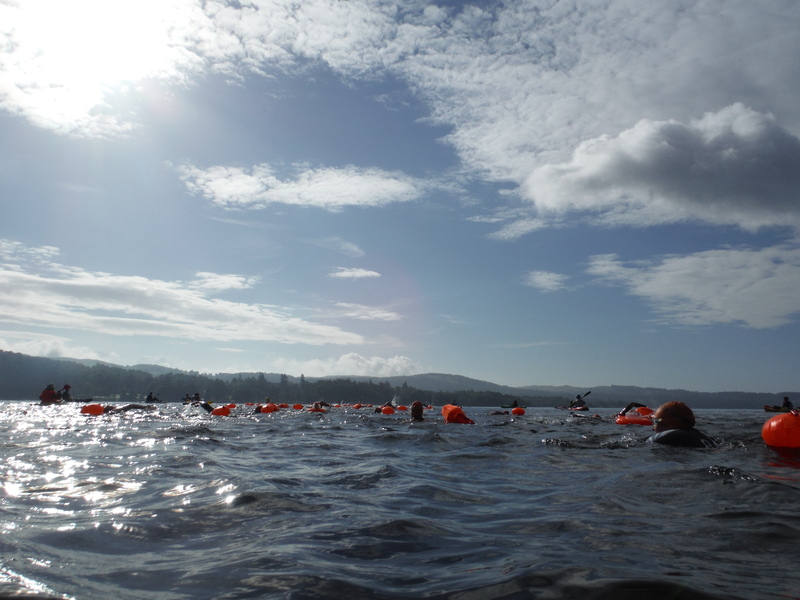 It felt strange but very exciting to be a part of such a big crowd of swimmers, all with their bright orange swimming caps and tow-floats. They’d asked that slower swimmers moved towards the back, which I did, but even so when the starting horn sounded a lot of people seemed to come past me! 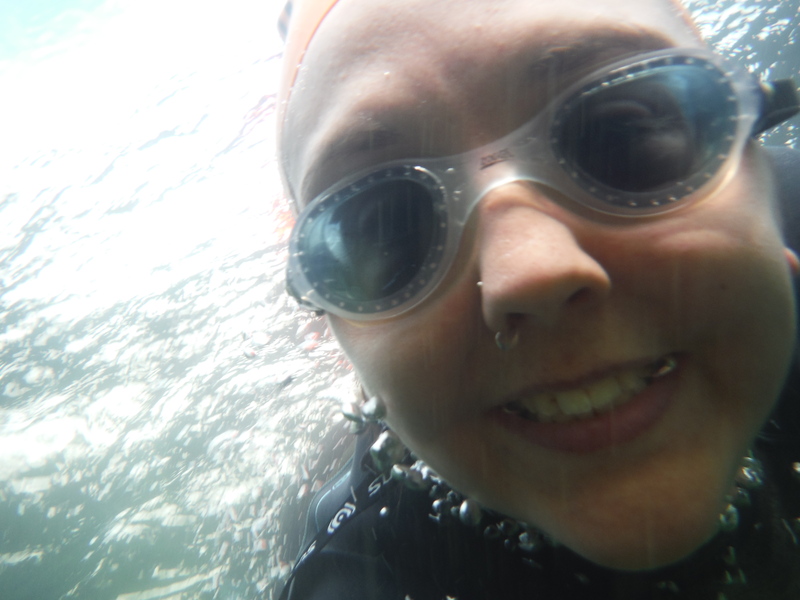 I soon dropped to near the back of my group of swimmers but found that I really didn’t mind. 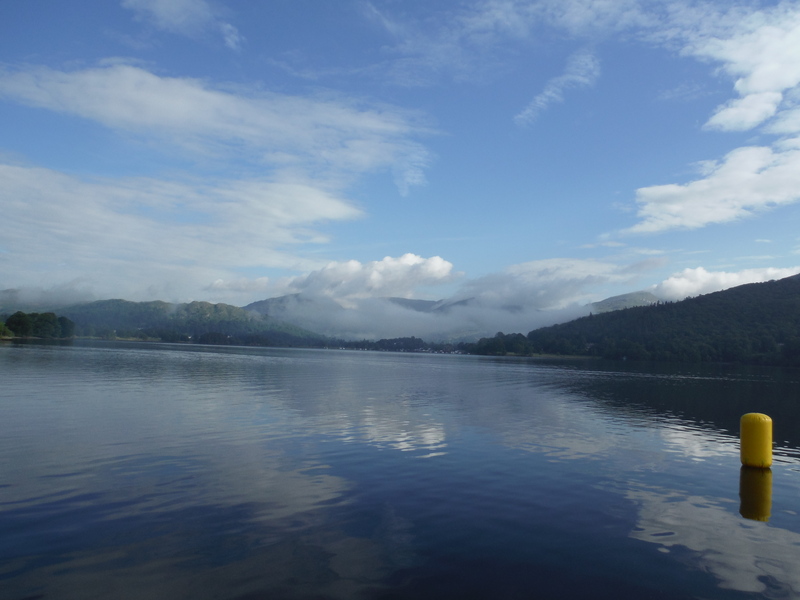 We’d woken up this morning to thick mist hanging over the lake but by the time we got to Brockhole the sun had burnt it all away and we were swimming in glorious sunshine with stunning views of the fells around. I was going pretty slowly for the first half, I was conscious of not wanting to tire myself out, but once I got past the half way marker I tried to speed up a bit. Still wasn’t very fast though! There were kayakers lining the route and every now and then one of them would shout encouragement which was great. Back at Brockhole I was helped out of the water, handed a finisher’s medal, and met by Ash who had, of course, finished ages before me. Gemma came in a few minutes later. It was so nice to be part of such a big thing and to be with so many other swimmers. Lots of friendly people, happy to chat and interested in the same thing. 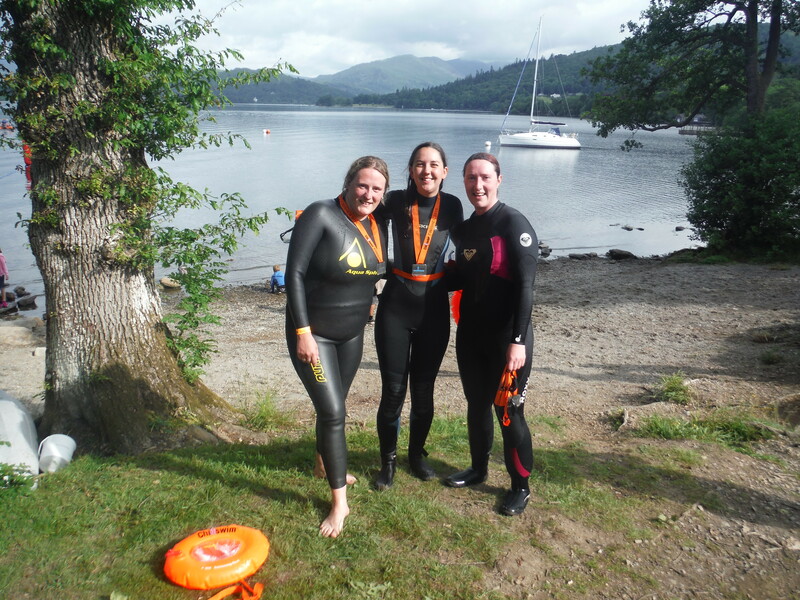 Such a great morning, I’m so glad I did it – and that’s 20 swims done!